The Europa Hotel Brno is located in a historic area of the city. Nearby, guests will find the Spilberg Castle as well as Petrov and many other attractions. Guests will find that most Brno attractions are within walking distance of this hotel. The Europa Hotel Brno is located along the Brno public transit lines. Public buses offer travelers easy access to all the city has to offer, including many attractions and points of interest as well as the Brno airport. Taxis are also available. Each of the guestrooms at the four star Europa Hotel Brno offers wireless Internet access. 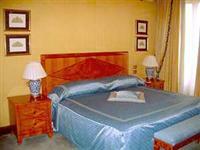 All rooms also include minibars, satellite television, and many other amenities. All rooms include private bathrooms. Guests of the Europa Hotel Brno will find that shopping and dining is only a brief walk away. The hotel is pet friendly and offers an onsite breakfast room and a café. The hotel also offers conference facilities as well as a lift and a 24 hour reception area and onsite parking.